After our first stop in Buenos Aires, we made our way down south towards Patagonia region to visit Glaciar Perito Moreno. Our original plan was to bus down to El Calafate, however the total journey was going to take over 40 hours as the total distance was over 3000Km! We ended up flying LAN Airlines as the total cost of flying was actually cheaper than bus plus accommodation. 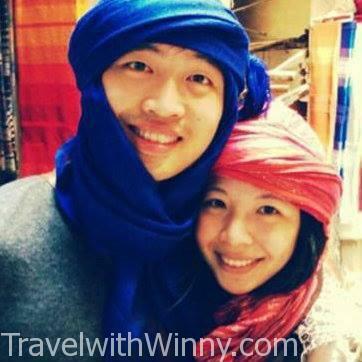 As long as you are okay with missing out attractions in between, flights sometimes can work out cheaper. Because Glaciar Perito Merno is close to El Calafate, there are many tourists here. Currently there are options to do 1.5hrs or 5 hrs trekking. As soon as you arrived in the airport, the fresh cold air was dramatically different to the hot humid climate we experienced in Buenos Aires. On the right-hand side of the luggage collection, there’s this company called VES Airport Shuttle which costs 200 ARS (Feb 2016, around USD$12) return per person to and from airport. The airport is about 20Km away from El Calafate township itself, so the cost of the shuttle was quite reasonable. 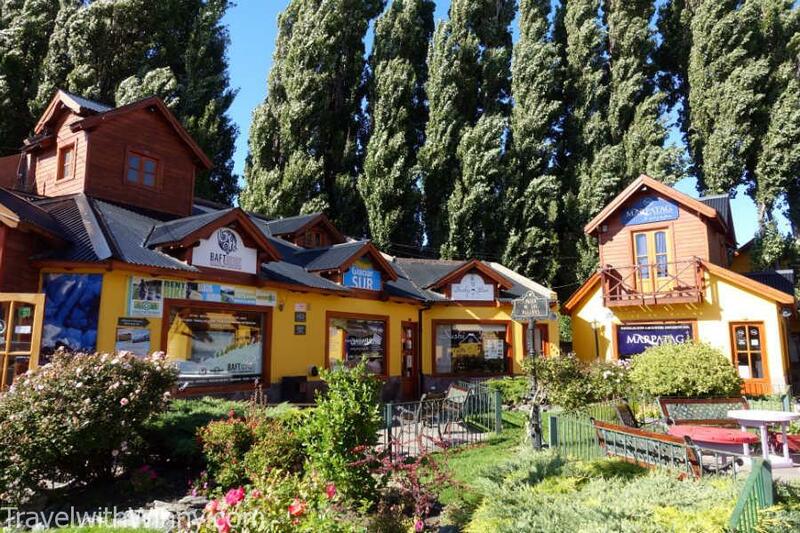 El Calafate is often used as a base for tourists visiting Glaciar Perito Moreno in Los Glaciares National Park and Mt Fitz Roy & Cerro Torre from El Chalten. El Calafate is still quite a new town and you can see the tourism is only beginning to flourish. I have always wanted to visit Southern Patagonia ever since I saw the beautiful landscape and breathtaking glaciers as a kid on television. It is located on the southern area of South America shared between Chile and Argentina. There are many day-treks or multi-day treks available to suit everyone, hence it is a popular destination for tourists! The humidity is very low in this region, even coming from Adelaide, York was getting rashes from the dry climate. Southern Patagonia has very strong winds. You could only find small shrubs here and almost no trees. 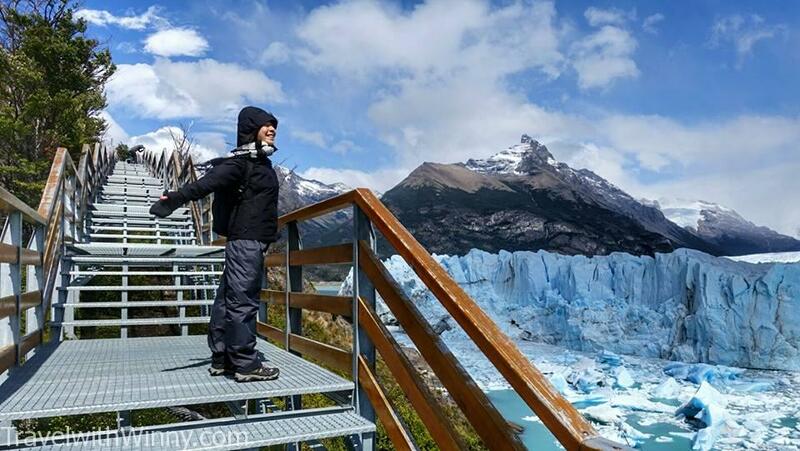 One of the most famous attractions in Patagonia is “Glaciar Perito Moreno” in Los Glaciares National Park. Even though it is not the largest glacier in Argentina (Glaciar Viedma is the largest in Argentina and we did a day-hike from El Chalten, more about that later), it is one of the most easily accessible due to its location. 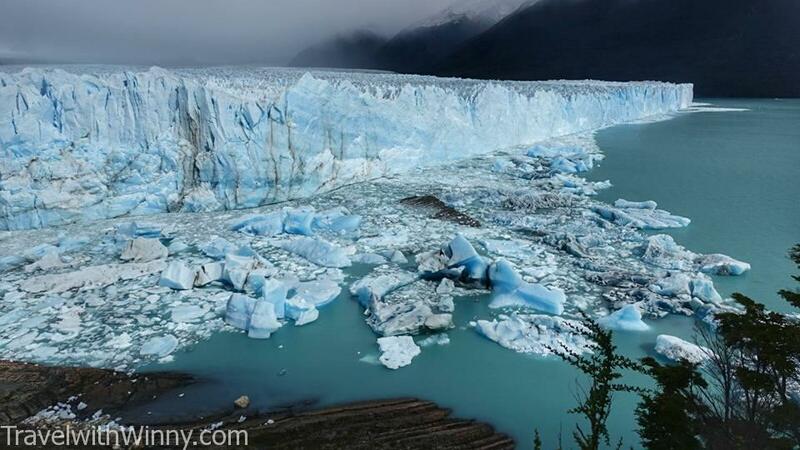 The total area of Glaciar Perito Moreno is around 250 Kilometer squared and 30Km in length! Still pretty impressive! 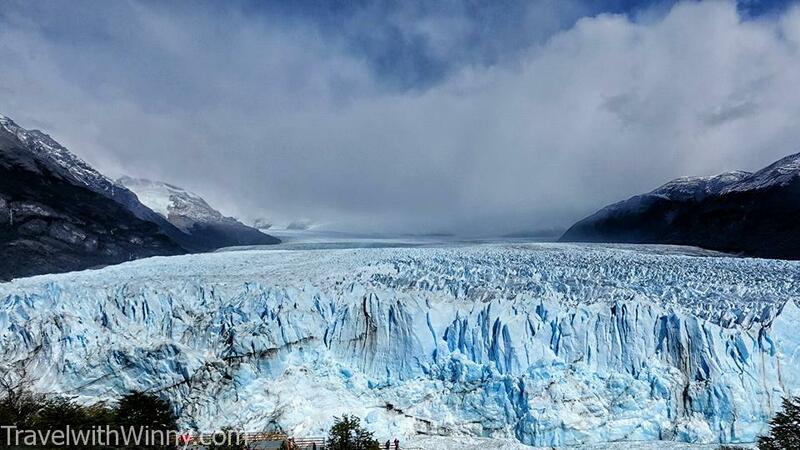 Glaciar Perito Moreno has a total surface area of around 250 meter square. Although it is not the biggest it sure isn’t small! To be honest, in order to visit Glaciar Perito Moreno, there’s no need to join a tour (I didn’t feel like it was necessary). You can bus directly with “Cal Tur”, they have a bus leaving at 8am and return at 4pm. I am not too sure about the most updated pricing, as I did it through a tour in my hostel which was 590ARS (Feb 2016, which was around USD$40), however I am sure it will be cheaper doing it this way. Since York has not seen a Glacier before, he was so excited when we were close to the Glacier. From El Calafate to Glaciar Perito Moreno is about 80Km and almost 1.5 hours by bus. We got picked up from our hostel at 8am and arrived at the national park just before 10am. 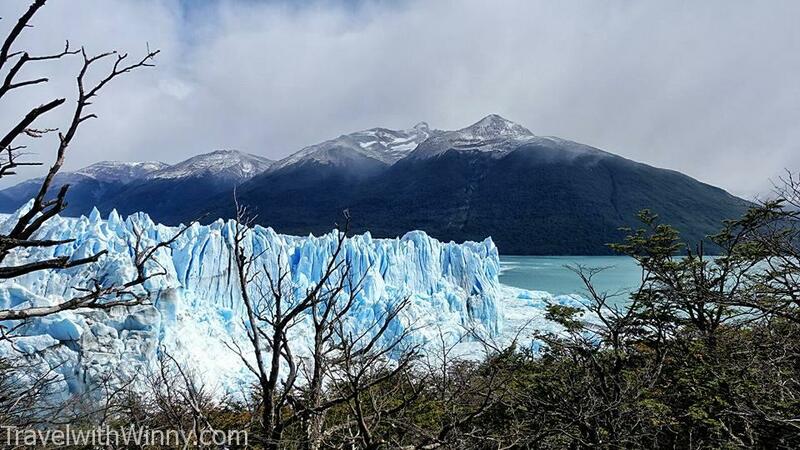 The entrance fee for Los Glaciares National Park was 260ARS (around USD$17). Due to the depreciation of Argentinean Pesos, the cost of the entrance park fee was only 100ARS three years ago. No agencies include this fee in their pricings. 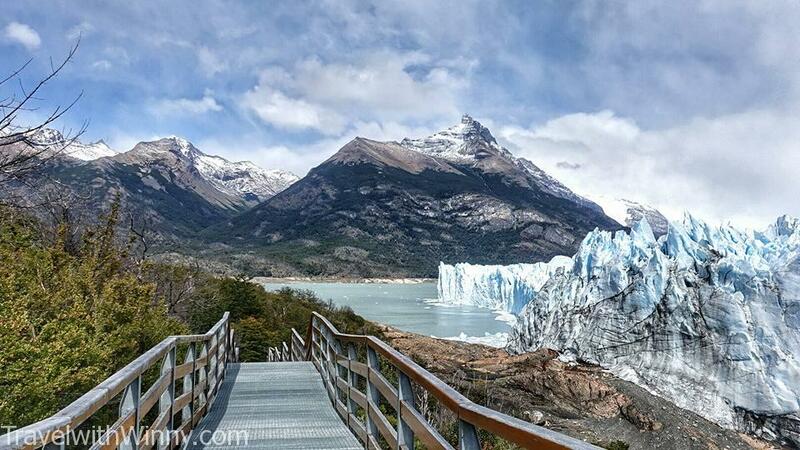 Glaciar Perito Moreno has very good walkways. Can easily allow the tourists to see different appearances of the glacier. After being dropped off at the national park, we were given the option of doing Glaciar Perito Moreno ride for extra USD$21 or just walk around the national park for 4 hours. We opted for the second option as we will be seeing many ice bergs in Antarctica in one week’s time. The walkways in the national park were quite well-made. Was totally above my expectations. The maps at each intersections were well labelled, showing you the total time and distance needed to view the glacier from different directions. The explosion like noise and the fall of the glacier. A phenomenon you can not keep your eyes off! 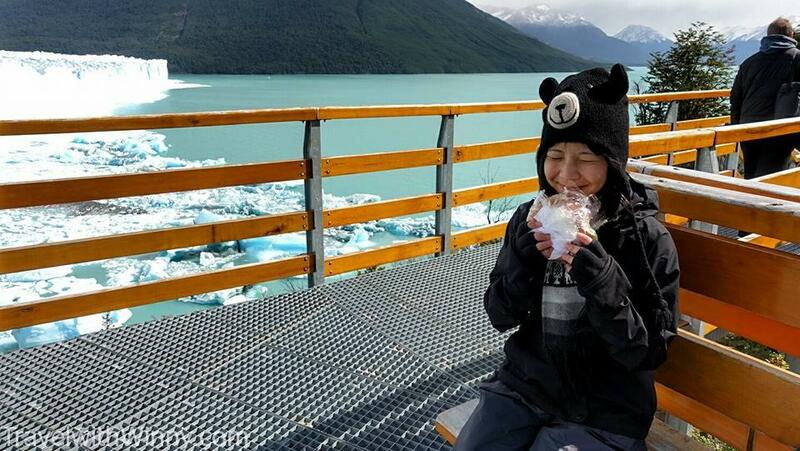 We were advised to bring our own lunch as there weren’t many food options in Los Glaciares National Park. 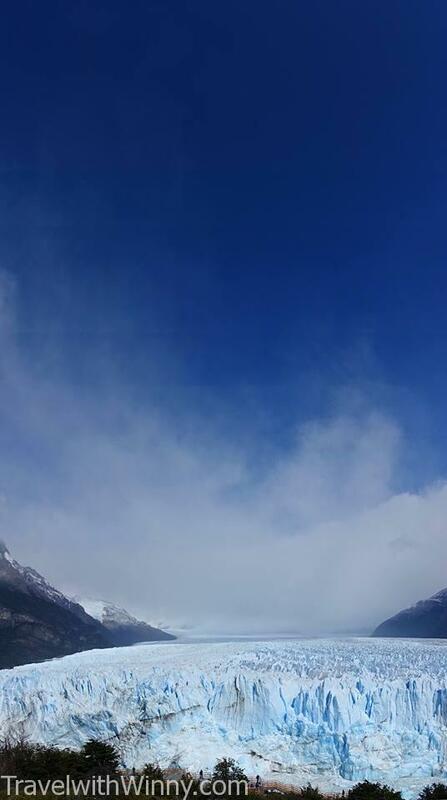 We chose a nice view point to admire the glacier and eat our lunch. Every once in a while, there were loud explosion like noise and when you follow the sound you will see a piece of glacier breaking off! It was an unforgettable experience and we couldn’t get enough of this sight. You could see all these people just sitting there and gazing at the glacier and waiting for the next ice to fall. Our 12USD lunch pack consists of sandwich, fruits, snack and water. Considering the expensive food prices, it was quite a good deal. From this picture you can see the glacier has already protruded so much that it is touching the bank on our side. The lake is now separated. Soon all the ice which you see in this picture will collapse and one huge cascade. 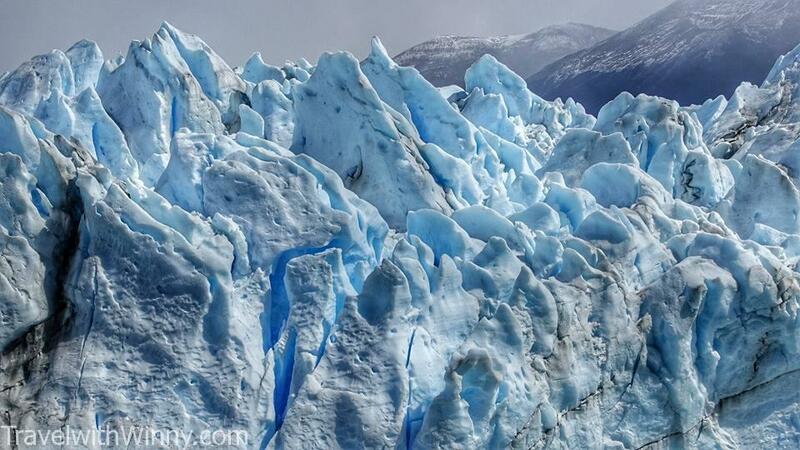 There is an interesting characteristic of this Glacier as it is at a T-junction to Lago Argentino. When Glaciar Perito Moreno protrudes fully into Lago Argentino and touches the opposite side of the bank, it cuts the section of the lake in half. When this occurs, the glacier will form a natural dam and the water levels of the lake on one side can rise up to 30 meters. 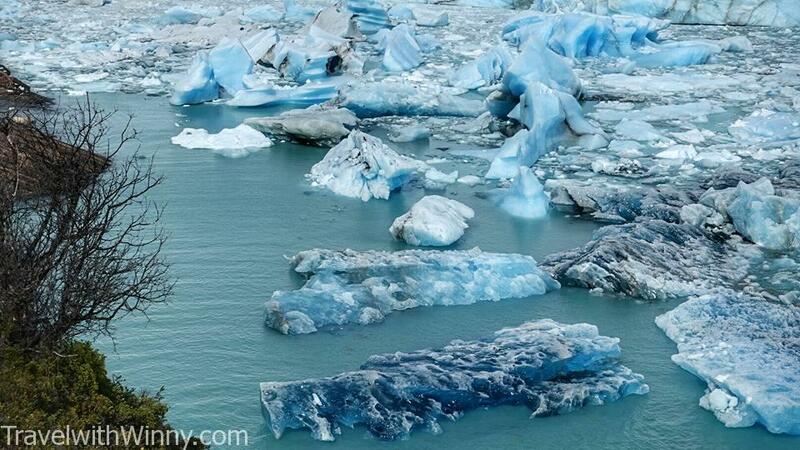 When there is enough pressure from the water, the glacier will be dramatically broken up and the water flows freely until the glacier extends again. This cycle will occur over a few years period. 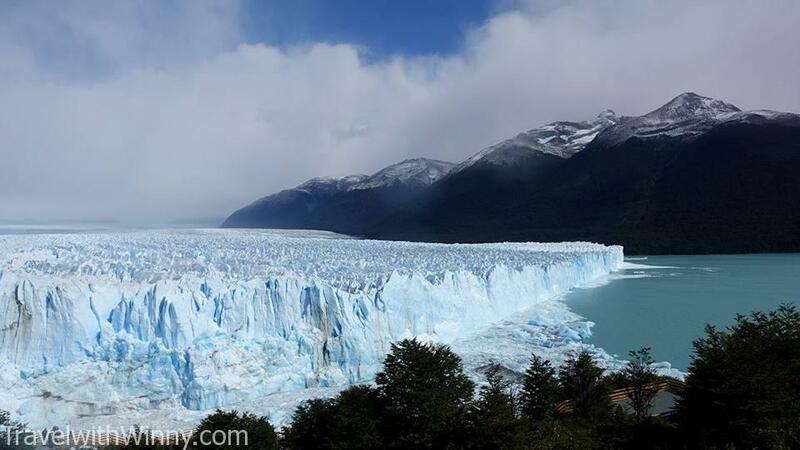 When we were at Glaciar Perito Moreno, the glacier is at the rare stage of full extension. Unfortunately we didn’t see the dramatic breakdown of the few thousand tons of ice. From El Calafate, you could choose to do two different trekking which we didn’t ended up doing. The two trekking choices are the Mini-Trekking (1.5hrs Trekking on ice) $150USD and The Big Ice $250USD (5hrs trekking on Ice). If I were to choose I would choose to do The Big Ice. With my experience on trekking on Glaciar Viedma, you would only see the grey and rocky ending of the glacier if you only do a short hike. 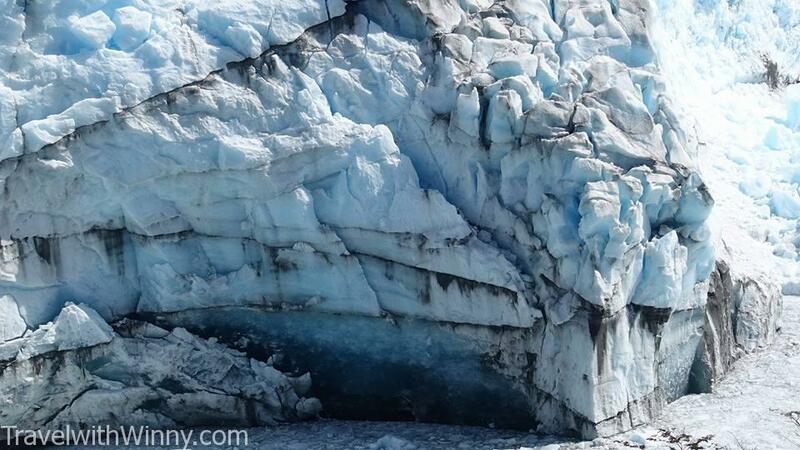 For the amazing sights, you will have to hike further into the glacier to see. I really like the look of this blue ice. It is so mesmerizing. We found out later than the Torres Del Paine Trip costs around $160USD, the return ticket costs $50USD, Torress Del Paine $40USD. We soon found out that this package was more worth it than we originally thought. 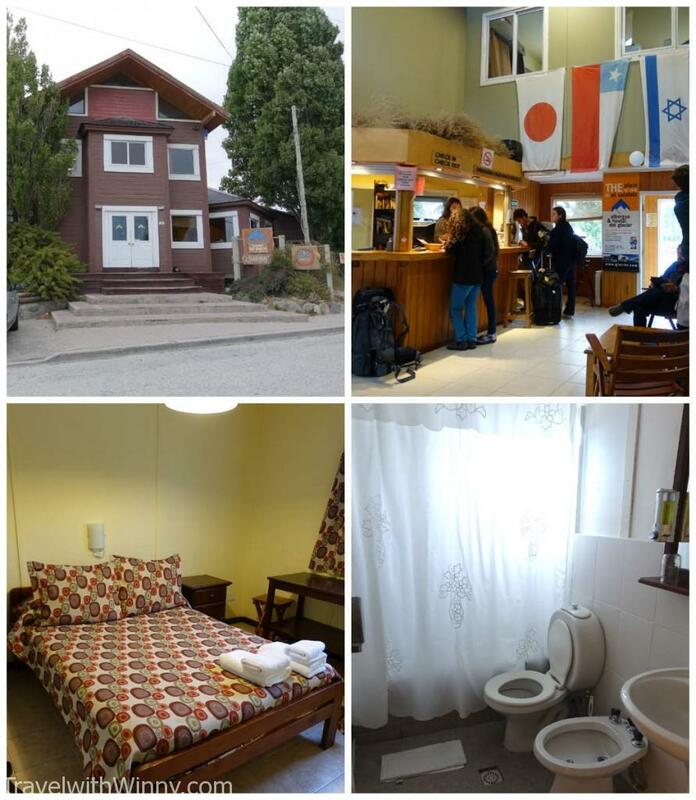 Our Del Claciar Hostel is quite decent for the price we paid. We are even spoiling ourselves with our own private bathroom! We were very surprised how costly are the food in El Calafate. The food prices are comparable to Australia. On average you would have to spend around $25USD for a proper meal in restaurants. The only way for us to save money is to cook. 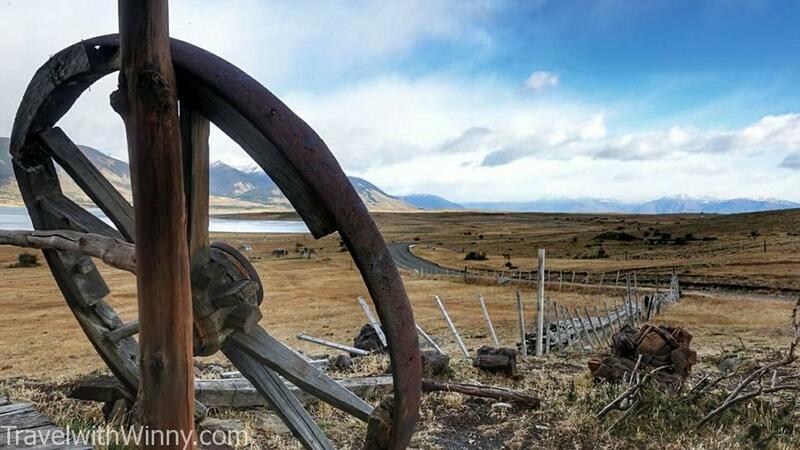 We first thought that the variety and quality of ingredients in El Calafate is poor until we went to the smaller town of El Chalten. Most of the fruits and vegetables we have come across is usually rotting in El Chalten. 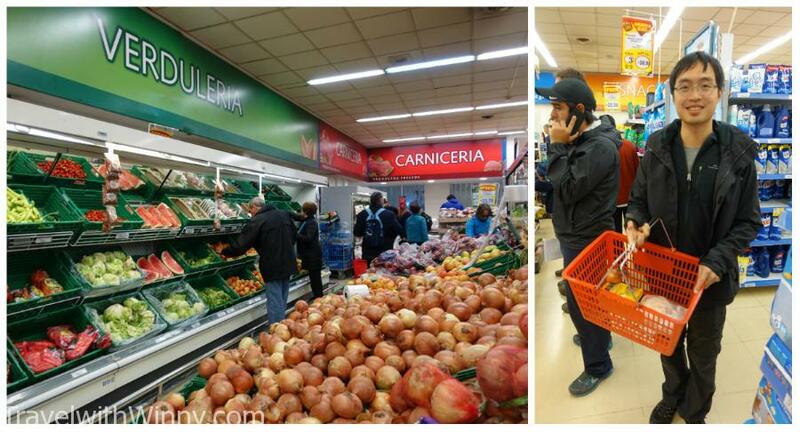 We didn’t realize that the limited grocery option in El Calafate was actually a luxury compared to El Chelten. During our stay in El Calafate we took the 3hr bus trip to El Chalten where we hiked the biggest Glacier in Argentina, Glacier Viedma. We also climbed a very famous and beautiful mountain in the area called Mt Fitz Roy.